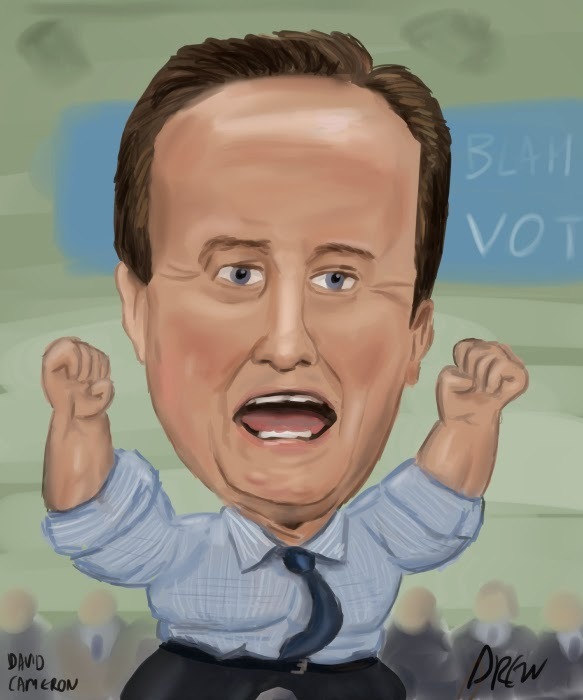 Of all the political figures I have attempted to draw I find baby faced David Cameron the worst to get right with his shiny forehead and lack of other distinguishing features. For a previous caricature competition I did Ed Miliband with not much effort but most of my other Camerons are in hindsight not great. Recently David Cameron has been 'pumped up' and 'bloody lively' about the prospect of being a former prime minister. I wanted to draw him as a hulk or a more pumped up character but for the purposes of the competition I'm entry I couldn't make it too much of a gag.